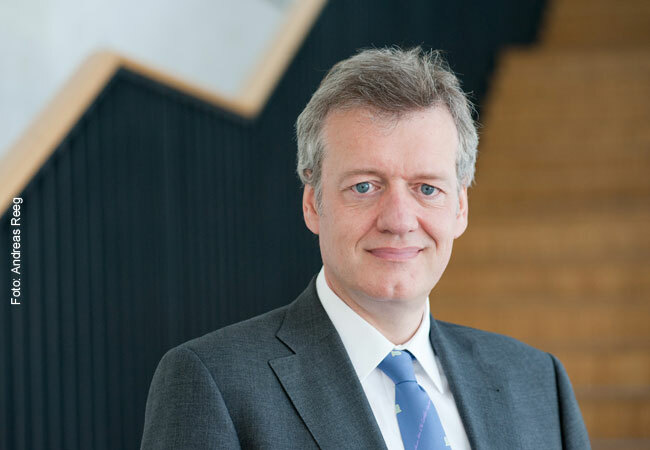 Professor Ferdinand M. Gerlach, Director of the Institute of General Practice at Goethe University, has again been appointed to the German Council of Health Advisors. The general practitioner has been a council member since 2007 and served as its chair since 2012. Whether he will continue as chair will be decided during the constituting session on 27th February, when the Council elects its chair. “The German health system faces important challenges in the coming years. The Council’s interdisciplinary and independent expertise can make important contributions toward meeting them. I look forward to interesting tasks,” says Ferdinand Gerlach. The expert advisory board is an independent board for scientific political consulting within the German public health sector. It is composed of seven professors who represent the areas medicine, economics and nursing sciences. With the exception of the addition of two new members, the board has been confirmed in its current composition. In place of the two outgoing members – health economist Professor Eberhard Wille (Mannheim University) and the physician Professor Marion Haubits (Hannover University) – two new members were appointed: the economist Beate Jochimsen (Berlin School of Economics and Law) and the physician Christof von Kalle (German Cancer Research Center, Heidelberg). The Council of Health Advisors has the task of analysing the development of healthcare and its medical and economical effects. The Council makes proposals for needs-oriented patient care, detects healthcare gaps, and makes suggestions for reducing healthcare oversupply. The experts create a report every two years and submit it to the Bundestag and the Bundesrat. In the last report, which has been discussed in multiple, often regional, conferences with the professional public since summer 2018, the Council particularly emphasized needs-based management in the public health sector. In addition to a much-discussed concept for reorganizing emergency care in Germany, this affects the future development of hospitals, cross-sector cooperation between hospitals and practices, and the coordinated care of patients with psychological illnesses and back pain. The report contains far-reaching recommendations for the substantive and structural development of the public health sector.